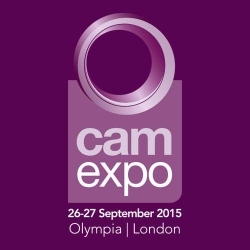 This year I have been invited to give two taster workshops at CAMEXPO on the above topics. As many of you may know I have been having wonderful results combining Young Living 100% pure Essential Oils with hands on techniques from cultures as diverse as the Lakota Indians of America to healers of Tibet and many places in between. This taster workshop is designed to give you an experience of these oils and applying them, to accentuate the effects of the electrical healing properties of the body. Quantum physics has proved we, along with all things, are pure energy that can be manipulated by intention and stimulating its flow through physical space. Energy is really just another name for information, so it is the information that we send which triggers dna, neurological and chemical reactions, which result in thoughts, feelings and matter. As plants are living entities that hold information on survival and healing from different eras and environments, we can integrate this into our own bodies and dna, to make changes that allow for consciousness to bring us back to our original divine blueprint and healing to take place. As stagnant energy creates mass any resistance that causes a block in flow results in dis-ease and finally disease. Using energy points along the spine, which is the highway between heaven and earth, allows us to work with the kundalini, nervous system pathways and alignment and posture. There are also many other energy points on the body that can be used to guide the flow of energy and release blocks which we will look at. Why not come along and find out how you can experience and add these amazing tools to your healing kit? I will be at the Young Living stand on Saturday 26th September all day and after the workshops on Sunday 27th to answer your questions and tell you more. I do hope that you will be able to come and spend a great day discovering information and many new innovations for natural health. 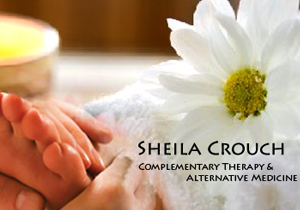 Sheila Crouch is a leader in the Holistic / Metaphysical field with 30 years experience. She combines bodywork, transpersonal and energy therapies supported with natural medicines. She is an international speaker and trainer on Holistic Health and Self-Empowerment and has presented at CamExpo many times on various healing topics.